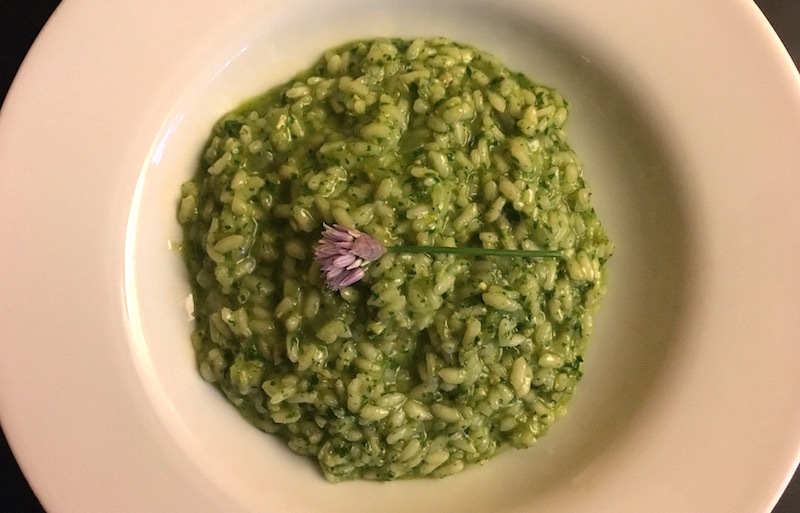 I first saw this spectacular dish among the drool-worthy photos on the Instagram feed of Portland's Florentine outpost, Burrasca, and was intrigued with its verdant green color and creamy texture. You see, we eat a lot of risotto around here, since it's easy to adapt to whatever you have in your pantry or vegetable bin, it's quick—around twenty minutes cooking time—and, in summer, doesn't heat up the kitchen. Summer is also when fresh herbs are plentiful in gardens and at farmers' markets. Plus, if you make it in the summer and get too warm standing in front of the stove, you are allowed a glass (or more, depending on how quickly you drain it) of a chilled white or rosé. 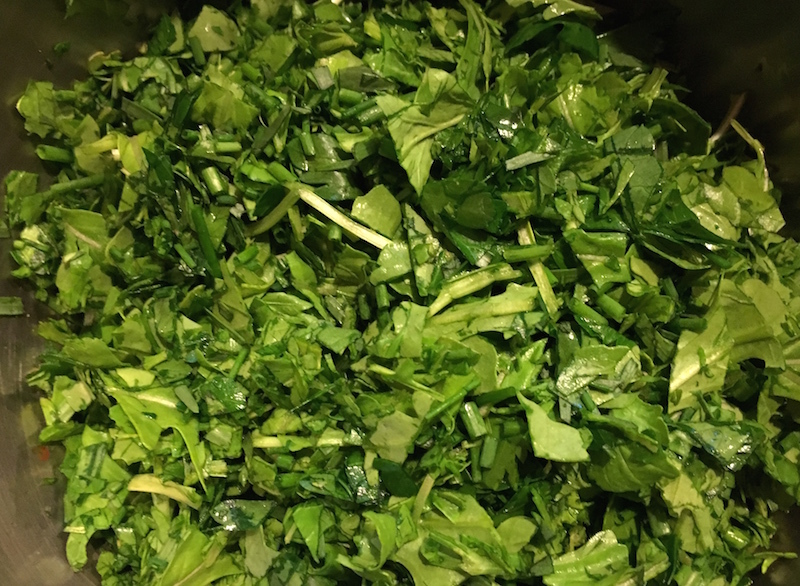 For this particular recipe, I had a fair amount left of the arugula and parsley I'd bought at the farmers' market over the weekend, as well as chives and tarragon from the garden, but you can use any greens that come to hand, like spinach, chard, sorrel, kale, chervil, dill, basil or the like. Eminently flexible, you can design your own flavor profile—I'd only caution you to not overload the mixture with stronger-tasting herbs, but let them weave in and out of the milder ones. Heat olive oil and butter over medium heat in large saucepan until it shimmers, then add onion and sauté until translucent. Add garlic and sauté briefly, then add rice and sauté for 2 minutes, stirring constantly to prevent sticking. Add wine and stir until it is absorbed into the rice, then begin adding stock a ladle-full at a time, stirring frequently, allowing the stock to be absorbed before adding more. When about half the stock has been used, add the finely chopped herbs and stir them in until they wilt slightly, then continue adding the stock until the rice is slightly chewy and the risotto has a creamy texture. Add 1/2 c. parmesan and stir to combine. Serve immediately. 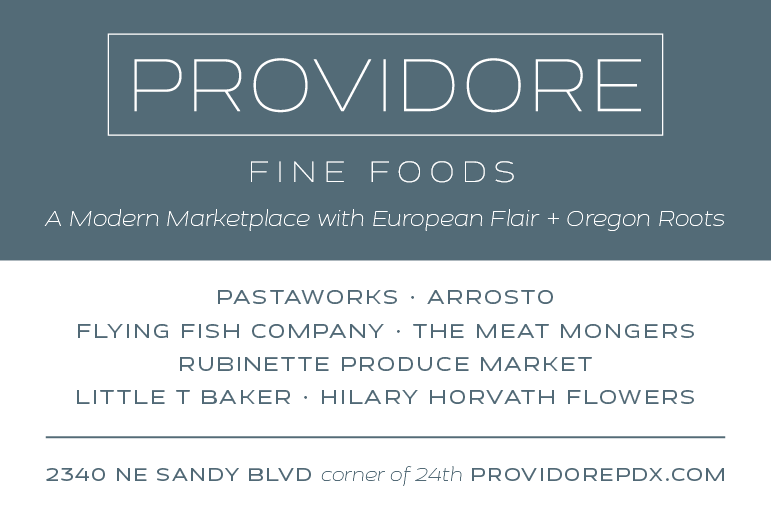 Check out these terrific risotto recipes and expand your risotto horizons!